Accueil > L'actu du vin > What activities should you propose to develop wine tourism? What activities should you propose to develop wine tourism? To attract new oenotourists, winegrowers will have to diversify their activities to offer holidaymakers a tailor-made experience. The stakes are high enough to keep up with the increase in wine tourism figures! For the most enduring, jogging is essential! For 21 or 42 kilometres, you can enjoy the spaces criss-crossed by the growing of vines in open air. Running in the heart of the vineyards? We validate! The more moderate among us will choose a hike or a bike ride, something more relaxing. Discovering the wine heritage of a region by building muscle, the winegrowers could not offer anything better. Many of them sporting events are organised every year in our wine-growing regions, take advantage of it! Would you like to organize a company seminar in the vineyards? participate in internships. Welcomed by the cellar masters or the winegrowers themselves, you will have the opportunity to smell, taste and analyse the vintages of the operator. 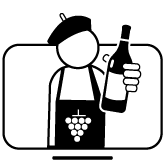 take part in a wine creation workshop. 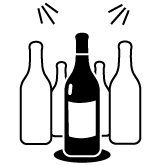 On the wise advice of oenologists, you test, assemble and label the bottle you bring home! Teambuilding, integration of new employees or seminar, you will leave transformed from your wine tourism stay! Become a lord for a while. Live the time of a stay in the castle, surrounded by vineyards. In an idyllic setting, you will enjoy the calm of our countryside and the quality of life we find there. According to the formulas displayed, the hosts offer breakfasts, treatments and spa, or regional cooking. Discover the food and wine pairings. Making wine is an art, effectivly matching it with the right food is another. During special tastings, sometimes blind, you will learn to combine the sometimes complex characteristics of wines with the flavours of the dishes to be associated. One thing is certain, gourmet tourism in the heart of the vineyards, we validate!